I’ve also got some new children’s books coming out a little later this month, which will push my official book count above 40. 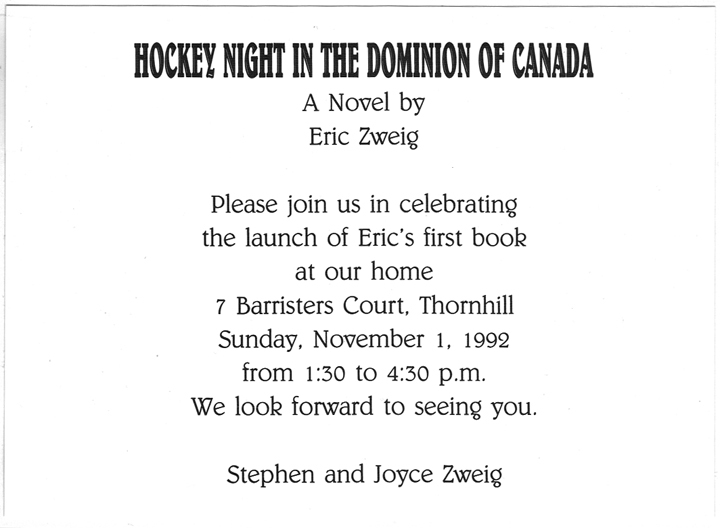 It all began 25 years ago right about now with the publication of my first book, Hockey Night in the Dominion of Canada. That capped a pretty amazing stretch of days for me and my family. 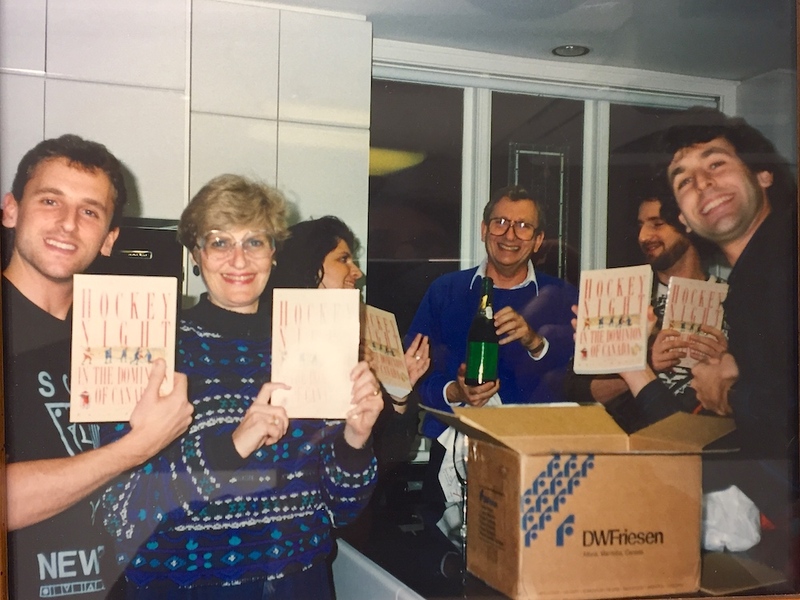 …followed, just a few days after that, by our first launch party 25 years ago today. This time around, my teen-favourite Astros are going to game seven of the World Series against my mother’s childhood favourite Dodgers. 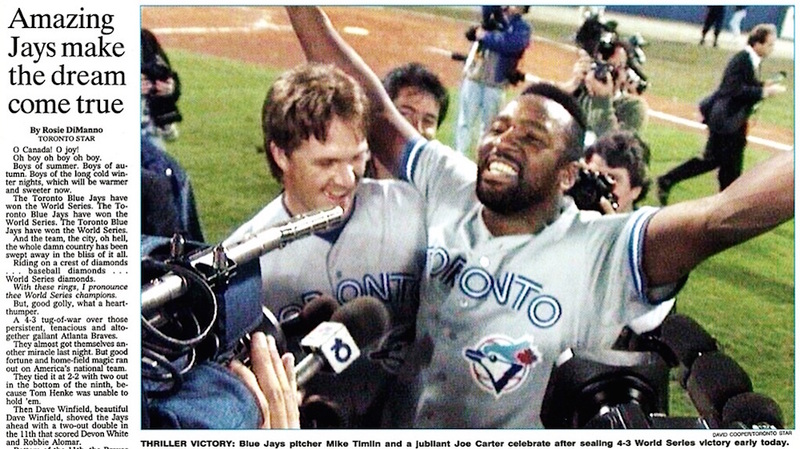 It’s been an amazing series so far, but matter who wins, it won’t be the same for us as 1992. Still, it’ll be a fun time on Saturday. We look forward to seeing you. Really wish I could join, I’ll be there in spirit! Congratulations and big hugs. From the parents’ home to the Distillery District! 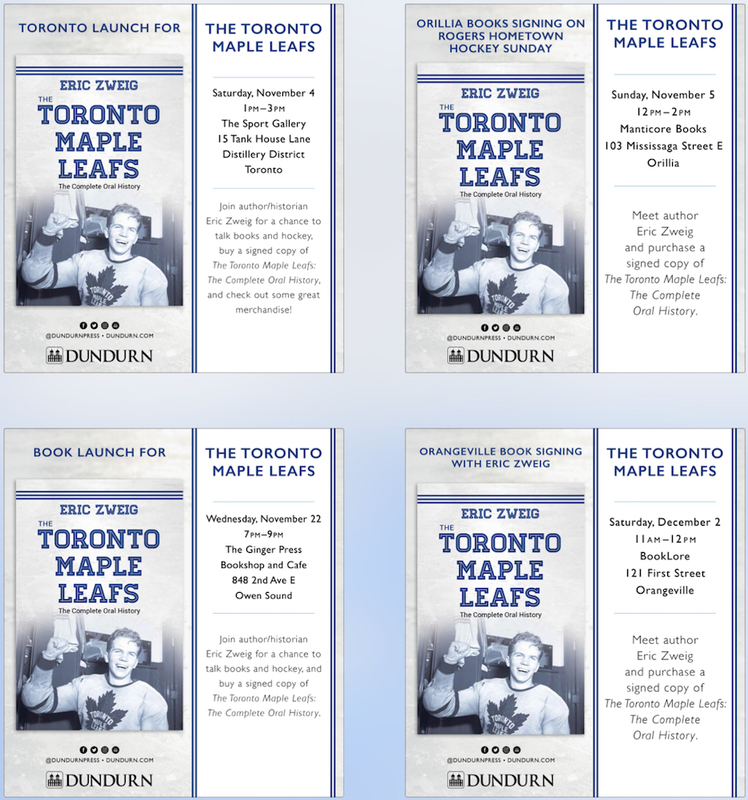 Good luck with all book launches and signings, Eric. Congratulations on your newest book! And on all the books you have published! It must be so awesome & gratifying to see yourself in print Eric.